Please if you are looking to create a fantastic voice over demo, and get incredible training run don't walk to her. Working with Voice Over artists is quite a thrill for me. Many of them have never had a "singing lesson" before. What is great about them from their first lesson is that they are fantastic actors, who can interpret text or lyrics at a really high level. They may have never sung, but they are used to challenging their vocal abilities and not afraid to "go for it". This makes them entertaining singers (and students). 1. 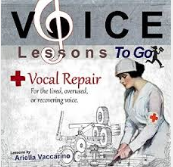 Teaches you the importance of warming up your voice and gives you the tools how to do it.- Whether you are singing later in the day or doing voice over work, your voice will benefit form a good singing warm-up and stay healthier as a result. 2. 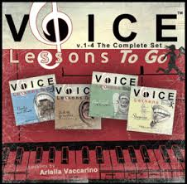 Increase vocal stamina- Training your voice as a singer (using my CDs, working at the piano, vocalizing regularly, or with a teacher,) helps to strengthen the whole vocal mechanism. Whether you are speaking or singing it is the SAME voice. Training it, empowers it to do more longer without vocal fatigue. 3. Develops vocal flexibility- Singing vocalizes train the voice to move quickly through notes which adds flexibility throughout your range. 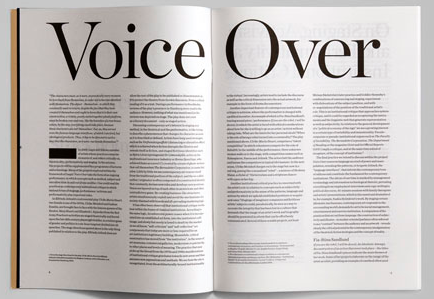 When reading copy you can feel more at ease and agile with your sound as a result. Think of an opera singer in a death scene- she sings the most beautiful aria with the freest sound while dying, there is no stress on her voice even though the acting in her body shows tension and strain. If the opera singer would put that "death scene tension" into her aria, no sound worth listening to would come out. This is a good skill to learn for characters through healthy singing technique. 5. 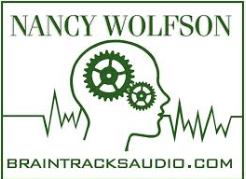 Helps artists discover and harvest new sounds their voices can produce- The falsetto or head voice comes to mind. Many people who have not sung have not accessed their own head voice. Vocalizing high in the head voice for both men and woman can add a new layer of sound to vary your characters. Often the falsetto is great for creating children's voices. Singing training can open up other sounds as well by looking at your voice in a different way through singing exercises. Taking a singing vocalize and exaggerating it for voice over purposes such as: a swallowed, nasal, bright, hearty, or breathy sound. A good singing teacher will touch all of these areas in a warm-up. 6. Introduces the "Voice Over artist" to singing so they can include it into some of their characters. It great to have this in your wheel house- a lot of animated shows use singing at times- it does not have to be great singing, but singing none the less. 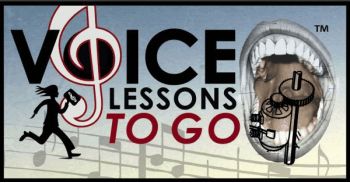 Singing lessons will give you the confidence to record a song for an audition submission in your character voices. Sometimes the stranger sounding the better, as long as it is done with confidence.